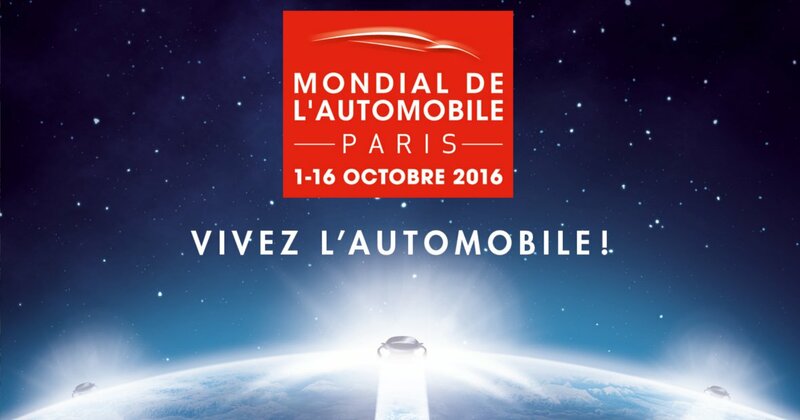 Just like international car shows happening all over the world, the Paris Motor Show has put its focus on showcasing the latest tech to enter the automotive arena. At the risk of not being original, we suppose the organisers of the Mondial de l'Automobile felt there is just too much to talk about in relation to new technology, that it couldn’t go ignored. We take a look at the cars that presented some of the most eyebrow raising technology and new initiatives being planned and schemed on the show grounds. A foreigner in Paris, but still drawing in the crowds with its exotic fascination is the G4 concept from GLM. At first sight of this electric supercar from Japan, you intuitively gather that this car is all about futuristic tech as its four doors are dramatically arched open allowing access to the front and rear seating. The interior design features a low seating configuration and leather bucket seats, that both underlie the car’s sporting aspirations. Yet the G4 doesn’t just talk tech, it embodies tech with its twin-motor electric powertrain that produces a total of 400kW which is the equivalent of 536 hp and 737 lb ft of torque. This power composition allows for a 0-100 km/h sprint in 3.7 seconds and reaches a capped topped speed of 250 km/h (155 mph). Its battery range allows for a drive just short of 400 km (248 miles) with the help of a multi-stage transmission that keeps the current low whilst cruising. However the G4’s unique contribution to the tech arena is its torque splitting system that facilitates a variety of different drive modes and the ability to respond to differing road conditions by providing optimum traction to each of the wheels. Soon to be available in Japan, Hong Kong and Singapore, it will have a purchase price of $224,000, if it ever finds its way into garage homes in the USA. Gleaning much of its technology from the F1 race track, this new car from Mercedes Benz AMG performance range will be gifted with a 1.6 liter turbo engine, rear wheel drive and a fast discharge electric hybrid system. Future drivers can expect a power burst of around 1,000 hp, a comparable power output to that found in Mercedes’ racing cars. Dropping this magnificent news bombshell on the crowds was Tobias Moers, the director of Mercedes AMG who gave some fascinating glimpses into the car’s planned production, such as a time expectation of when it might be ready (two years) and the cost it will require to manufacture (a little under $2 million). While Moers didn’t give any speed expectations, from a production perspective he said that "Everything is dedicated in this car, it's all new". Despite the fact that AMG already produces supercars, this hypercar is still unique as it is intended to be an ultra-performance Formula 1 car made street legal. The aspiration is not to break through existing speed titles, but the F1 technology will rather be gleaned to enhance driving dynamics and thermal engineering. The French Trezor made it onto our list, not so much for its motoring tech (though it is amazing), but for the way it melds tech futurism with luxury grand touring. This all-electric self driving grand tourer, like all things French, stands out for its bedazzling style. While it may still be totally in concept phase, it is still fulfilling many of our future car fantasies. Design features include an exaggerated and wildly boastful bonnet, a canopy which opens on forward hinges, providing access into the car and a view of the front engine compartment. On the hood is a grid of hexagonal air intakes that open to enhance airflow, the impact of seeing them pop open was striking, even if it’s not so practical. But a feature that we found particularly novel was the exterior lighting, which changes colour to indicate to other drivers that it is operating in fully-autonomous mode. Mercedes Benz didn’t have just one new model car to flaunt at the show, but an entire fleet which they have dubbed Generation EQ. According to Daimler CEO, Dieter Zetsche "We're now flipping the switch. We're ready for the launch of an electric product offensive that will cover all vehicle segments, from the compact to the luxury class." Produced by the subsidiary arm of Deutsche Accumotive, the cars are constructed with a 70-kWh lithium-ion battery packs and two electric motors that produce up to 402 hp and 516 lb-ft of torque. This motor configuration is intended to spur an entire electric car family that includes a sedan, a wagon, a coupe, an SUV, and convertibles amongst other close relatives that we are told will also eventually arrive. The EQ range represents a serious competitor to the Tesla series, that if Elon Musk was like the rest of us would keep him up at night, but luckily for him, he isn’t anything like the rest of us. Even still, the performance attributes of the EQ range is highly impressive with each axle hosting an electric motor that is capable of producing 500 km (311 miles) of range on a single charge. Another car stealing the limelight was the Volkswagen ID, looking like a futuristic version of the classic Beetle, the car impressed us with its retractable steering wheel and nifty features such as a trunk that functions as an operational mailbox. The developers of this car, may be trying to distract us from the fuel emissions scandal of last year, but they are doing an awfully good job of it, with plans to have this car ready in all-electric mode by 2020 and in fully autonomous mode by 2025. 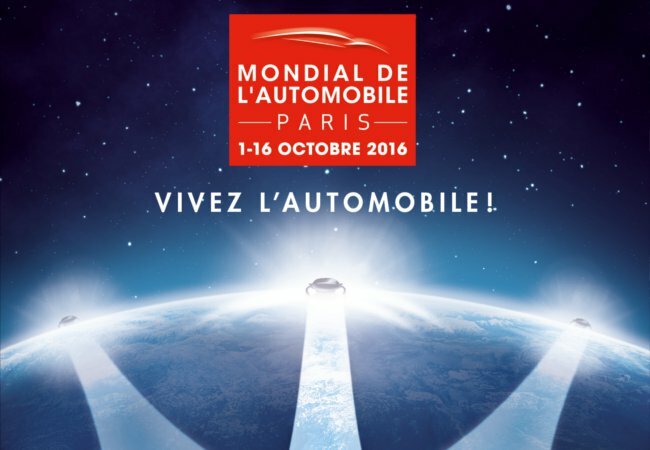 Infusing an air of excitement and anticipation to the event was the Mondial Innovation Forum that was tag named “Moving Beyond Cars”. The event which was pitched at high tech companies and start-ups in the automotive industry provided a fantastic forum to attend workshops that addressed key issues facing the industry. Attendees had the opportunity to network with other innovators and businesses and even seek investor funding amongst the VCs present looking to fund the next generation of automotive disruptors. With the Moving Beyond Cars Forum undoubtedly paving the way for more fascinating international motor shows to come, we couldn’t help but feel that we were at the forefront of the rapidly changing world of automotive tech. Whether it was the transformation of the combustion engine to electric generated powertrains, the incorporation of F1 racing technology into road legal cars or the autonomous driving revolution that could change the automotive world forever - we saw it all from the front driver’s seat. And we have every intention of coming back again next year, with any luck in a luxury rental, pure-electric, self-driving car.